I’m No Angel: From Victoria’s Secret Model to Role Model is a refreshingly honest look at what really happens in the modeling industry and how difficult it can be for Christians to maintain their morals and convictions in this field. 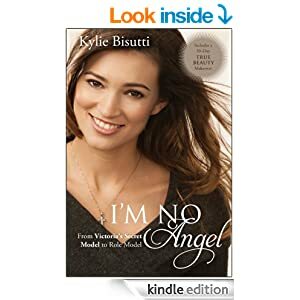 Kylie writes about her journey to becoming a Victoria’s Secret Angel – one of the top modeling careers in the world – and how it challenged her and strengthened her faith along the way. The book is so compelling and moves at a great pace. I found it hard to put the book down because I was so intrigued by everything she experienced and learned. It takes a lot of courage to leave a life like hers behind and to pursue what you know to be right. This is a great autobiography and a definite inspiration to all women to stand up for what we believe in, no matter what the consequences may be.